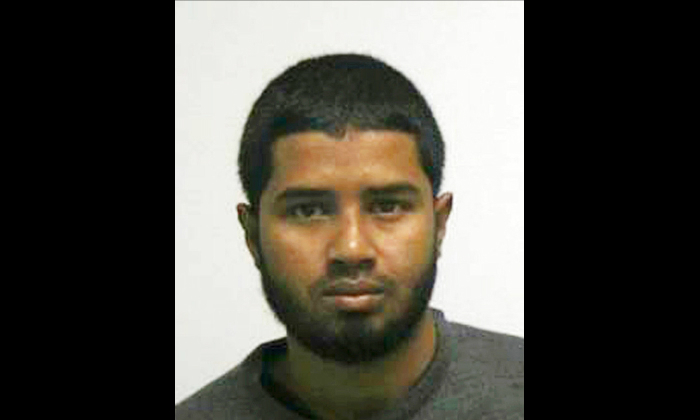 NEW YORK—A Bangladeshi immigrant was convicted on Nov. 6 for supporting a terrorist group after setting off a pipe bomb in New York City’s busiest subway station let the jury leave before saying he was angry at President Donald Trump and didn’t plan the attack for the ISIS group. The unusual outburst by Akayed Ullah in Manhattan federal court capped a trial in which the defense maintained he intended to kill only himself last Dec. 11. Nobody died, and most of the injuries were not serious. Just after jurors left the Manhattan federal courtroom, Ullah announced he had something to say and repeatedly insisted he did not act on the ISIS group’s behalf. Judge Richard J. Sullivan told him: “Right now is not the time for a statement.” Trump has made statements about bombing ISIS targets in the Middle East for many years. He also commented on former president Obama’s plans to bomb Syria during the past administration. Prosecutors said Ullah sought to maim or kill commuters in response to calls for “lone wolf” terrorist attacks by the terror group. Hearing about Ullah’s claims as she left court, juror Linda Artis told reporters that Ullah may have swayed some jurors if he had taken the witness stand. Artis, 38, of Manhattan, said she worried that some laws used against Ullah were too vague. The verdict capped a weeklong trial that featured surveillance video of Ullah the morning when his pipe bomb sputtered, seriously burning him in a corridor beneath Times Square and the Port Authority bus terminal, where most subway lines converge. Within hours of Ullah’s blast, Trump was assailing the immigration system that had allowed Ullah—and multitudes of law-abiding Bangladeshis—to enter the U.S. Authorities said Ullah’s radicalization began in 2014 when he started viewing materials online, including a video instructing ISIS supporters to carry out attacks in their homelands. In closing arguments Monday, Assistant U.S. Attorney George Turner said Ullah told investigators after his arrest that he wanted to avenge U.S. aggression toward the ISIS group and had chosen a busy weekday morning to attack so he could terrorize as many people as possible. Ullah’s attorney, Amy Gallicchio told jurors in closings that Ullah was not a terrorist and wanted to die alone. Assistant U.S. Assistant U.S. Attorney Shawn Crowley disputed the claim.